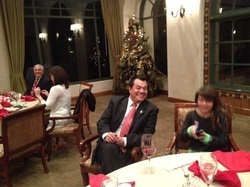 Every year we celebrate the holidays with our families and loved ones at our annual Christmas Party. We enjoy entertainment, great food and company, and a visit from you know who ;). We have a great time every year.